but i still have in red wiring fault 1a-1b and 2a-2b. 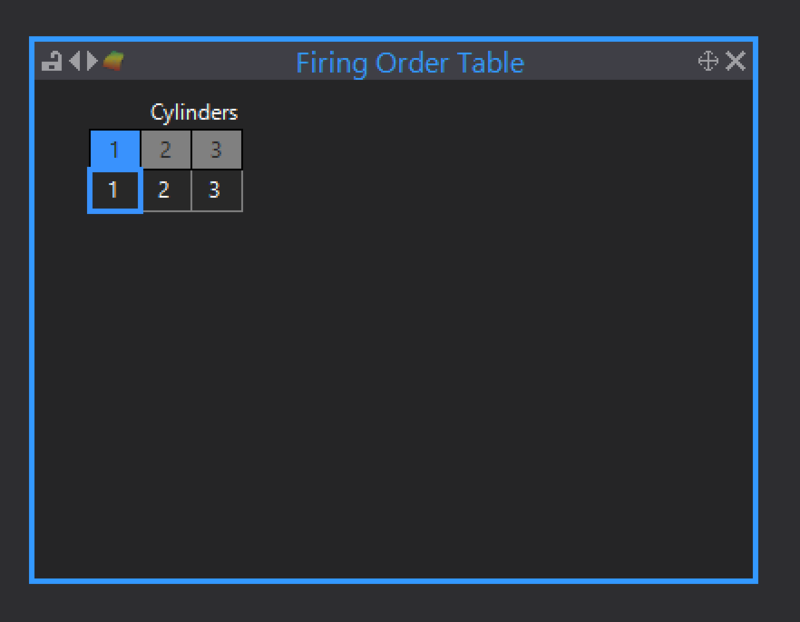 Your firing order table is set wrong. Hi Clint, my engine's right firing order is 132 and in my basemap is 132 (maybe I uploaded an older basemap version). If in masemap I put 123 fire only first cylinder. I suspect there may be a firmware issue that causes the wiring fault error, I'm not sure if we have tested it on a 3 cyl before so it may be something that was never considered. I will discuss with engineering next week. Does it run ok apart from the error? The engine run ok, only this wiring error and sometimes triggers error when engine stop.